Fun, remote trail to bottom of dramatic Gemini Bridges. 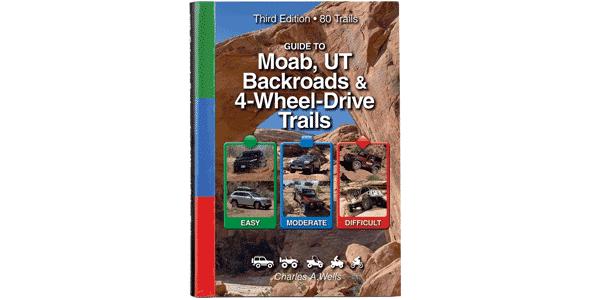 This short but fun trail winds through a scenic high-walled canyon as it meanders back and forth along a sandy wash bottom. It features a short hiking trail to the bottom of amazing Gemini Bridges (no longer open to motorized). You can continue riding west into the canyon but the road eventually narrows to a point where it is difficult to turn around. This part is fun for ATVs and UTVs. Generally this route is fairly easy, but heavy rains can sometimes cause problems in the wash bottom. Usually suitable for most stock, high-clearance, 4-wheel-drive SUVs.